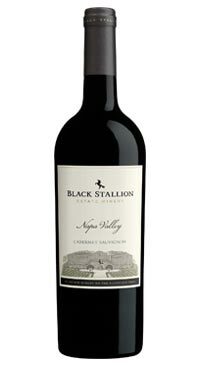 Black Stallion Estate Winery is located in the Oak Knoll district of Napa Valley. The winery focuses on small lot blends of Napa Valley fruit. This Cabernet Sauvignon boasts deep cherry and plum flavour with elegant supple tannins.